Eine saubere Sache - so erstrahlt altes Silber in neuem Glanz. There are things that are meant for very special occasions - the smart suit, the good porcelain or the beautiful silver cutlery. Especially the latter does not get better if you rarely use it. But do you really want to get into a long polishing campaign before dinner? You don't have to, because we have a practical tip for you that will bring a shine to your silver and a smile to your face. First, put a pot of water on the stove. 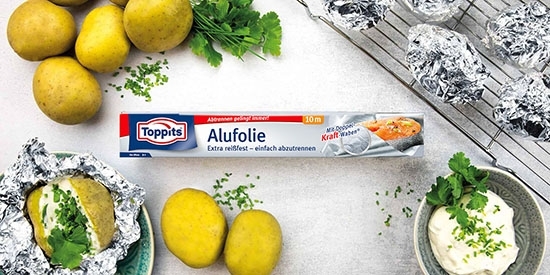 Then wrap the tarnished knives, forks and spoons in Toppits® aluminium foil. In the meantime, heat the water. 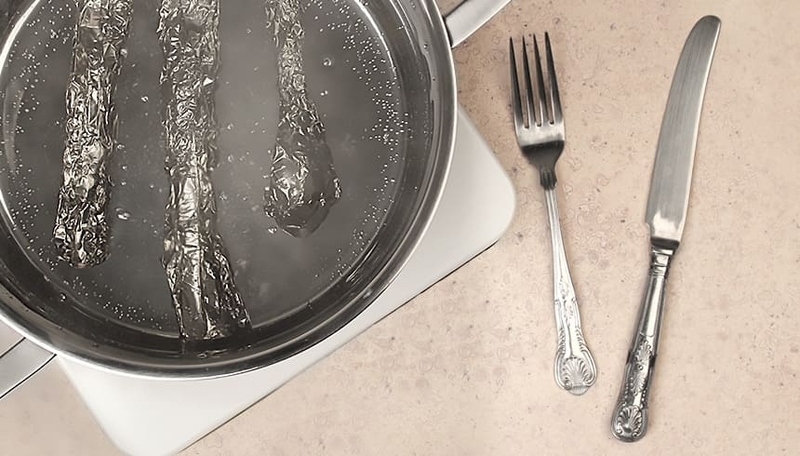 When it's boiling, just put the cutlery packs in it. Add two tablespoons of salt and baking soda and bring to the boil. There are electrolytes in baking soda and salt that react with the aluminium foil. This creates an electrical current and removes the unattractive discolouration. After boiling, all you have to do is remove the packs from the pot and dazzle with the results.